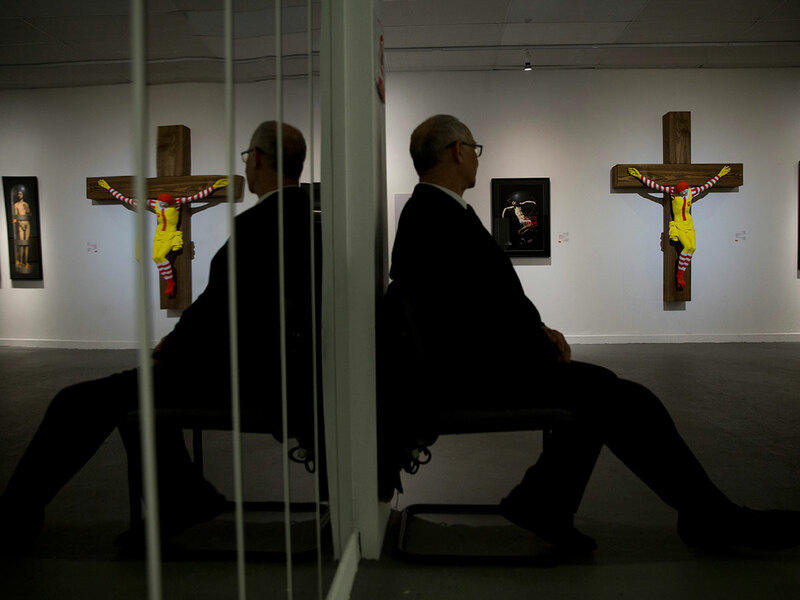 Haifa: An art exhibit in Israel featuring a crucified Ronald McDonald has sparked protests by the country’s Arab Christian minority. Hundreds of Christians calling for the sculpture’s removal protested at the museum in the northern city of Haifa last week. Israeli police say demonstrators hurled a firebomb at the museum and threw stones that wounded three police officers. Church representatives brought their complaints to the district court Monday, demanding a suspension order for the exhibit’s most offensive items, including Barbie doll renditions of Jesus and the Virgin Mary. Israeli Culture Minister Miri Regev, who has pushed for legislation mandating “loyalty” in art, has also called for the removal of the offending artwork.